Houston Symphony Music Director Andrés Orozco-Estrada. Photo courtesy of Houston Symphony. A festival celebrating arch-Romantic composer Robert Schumann. Spotlights on Richard Strauss, master of orchestral tone-painting, and today’s John Adams. A pairing of dramatic but little-known choral works by Felix Mendelssohn and Gustav Mahler. 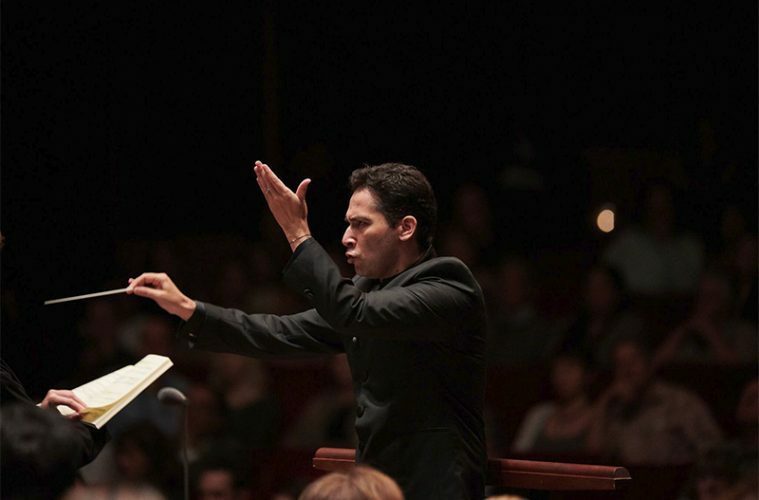 Those are a few standouts amid the Houston Symphony’s plans for 2019-20–the orchestra’s sixth season under music director Andrés Orozco-Estrada. “It’s like a season in one of these ongoing TV dramas. There are several thematic areas where the symphony has been working during Andrés’ tenure, and those plot lines continue to unfold,” executive director John Mangum says. Ana María Martinez performs in Jimmy López’ Dreamers Oratorio, Fabien Gabel conducting, May 15 &17, 2020. Photo courtesy of the artist. When the orchestra picked Orozco-Estrada as its leader in 2013, the Vienna-trained conductor envisioned a Beethoven symphony cycle to help him and the group to forge a common musical style. They completed the three-year cycle, encompassing Beethoven’s nine symphonies and the opera Fidelio, in 2016. Next season’s Schumann festival will let conductor and orchestra immerse themselves in a composer Orozco-Estrada sees as Beethoven’s heir: “one of the very first composers to take up Beethoven’s unspoken challenge that music could be a place for deep, personal expression,” the conductor says in a statement. Within two weeks in February 2020, the orchestra and Houston Symphony Chorus will perform Schumann’s four symphonies, his piano and cello concertos, and more. Members of the orchestra will step up with chamber music; lectures and other special events complete the festival. Another of the orchestra’s musical story lines: the orchestra’s three-year linkup with Peru native Jimmy Lopez as composer-in-residence. December brings the world premiere of Lopez’s Symphony No. 2, Ad Astra, inspired by the space program. And in May 2020, the orchestra, chorus and soloists–including a Houston favorite, soprano Ana Maria Martinez–will perform Lopez’s Dreamers. Based on a text by Cuban-American playwright Nilo Cruz, the oratorio draws on real-life stories of immigrants who were children when their parents brought them across the U.S.-Mexico border. In his program note, Lopez casts doubt on calling them “illegals” or even “dreamers”: “These labels are an attempt to set them apart from us as ‘the others’ when in reality they are not different from you or me,” Lopez writes. The Houston Symphony will give Dreamers its first performances after its world-premiere run in California. 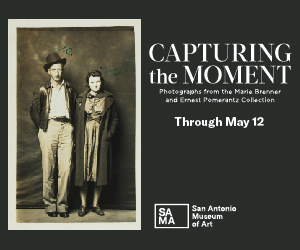 “Given the themes that it explores and the diversity and energy of Houston–and our relationship with Jimmy, of course–we thought it was a great piece to include in the plans,” Mangum says. 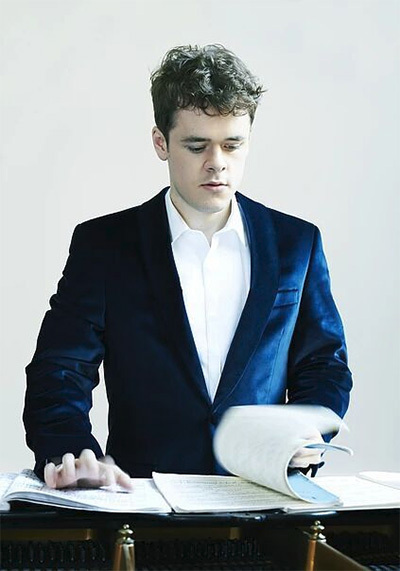 Benjamin Grosvenor will perform Schumann’s Piano Concerto under Andrés Orozco-Estrada’s baton Feb. 8 and 9, 2020 as part of the Schumann Festival. Photo courtesy of the artist. Veteran composer John Adams has even longer connections with the orchestra and its hometown. Houston Grand Opera premiered Adams’ first opera, Nixon in China, in 1987. The Houston Symphony and then-leader Christoph Eschenbach recorded Adams’ Violin Concerto with soloist Robert McDuffie, and the orchestra has performed an array of Adams’ other works in concert. Adams guest-conducted the group in 2014. And in March 2020, the orchestra will give Adams’ oratorio El Niño its belated first performances in Texas, nearly 20 years after its premiere. Orozco-Estrada has conducted one of Gustav Mahler’s symphonies nearly every season, though the orchestra hasn’t explicitly invoked a cycle. Mahler’s Symphony No. 7, sometimes called Song of the Night, joins the list in April 2020. But the composer’s devotees might really zero in on an October choral program featuring the young Mahler’s rarely performed Das Klagende Lied. Based on bucolic but bloody German fairy tales, the cantata centers on a minstrel who comes across a bone while roaming in the forest. He makes the bone into a flute. But when he tries to play it, a human voice emerges. It tells the story of two brothers divided by jealousy. One ultimately killed the other–whose body yielded the bone. At Das Klagende Lied’s climax, the minstrel, the flute and its tale interrupt the killer’s wedding feast. Justice is served. Mahler’s rarity shares the program with Mendelssohn’s equally neglected Die Erste Walpurgisnacht, an almost operatic picture of pagan revelries. Mangum, who earned a doctorate in music history before he went into orchestra management, admits that he’s especially eager for this installment in the group’s classical series. 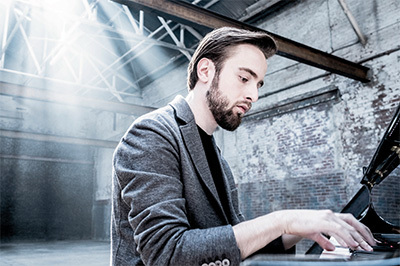 Daniil Trifonov is performing Tchaikovsky’s Piano Concerto No. 1 with Krzysztof Urbański conducting the program Trifonov Plays Tchaikovsky Nov. 22, 23, and 24, 2019. Photo courtesy of the artist. A program devoted to Igor Stravinsky will put the complete The Firebird–the scintillating ballet score that created Stravinsky’s first sensation in Paris–alongside Stravinsky’s later, neoclassical Violin Concerto. A Richard Strauss program will contrast the valedictory lyricism of his Four Last Songs with the theatrics of the younger Strauss’ Death and Transfiguration, Don Juan and Till Eulenspiegel. The Four Last Songs will feature the Houston Symphony debut of Swedish soprano Miah Persson. 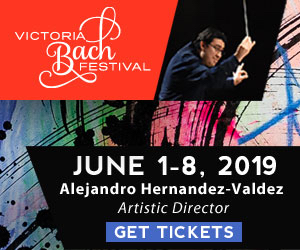 The season will also bring return visits from acclaimed soloists, such as soprano Martinez; violinists Gil Shaham and Leonidas Kavakos; and pianists Jean-Yves Thibaudet, Yefim Bronfman and Emanuel Ax. Compelling artists from the younger generation will include cellist Alisa Weilerstein and pianists Benjamin Grosvenor and Daniil Trifonov.